The Heavy Vehicle Driver’s Handbook (PDF, 3278 KB) is an important guide that provides detailed information on what you need to know to operate a heavy vehicle safely in South Australia. You will need to refer to this book in conjunction with The Driver’s Handbook if you are getting your heavy vehicle driver’s licence. We also encourage experienced drivers to read the handbook to check current rules and safety advice. What is explained in this guide? The licensing system for drivers of heavy vehicles including the skills and qualifications you need to drive a particular vehicle. Driver responsibilities and laws including fitness, alcohol, drugs, fatigue, record keeping and seatbelts. 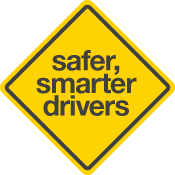 Safe driving behaviours such as observation, speed management, road positioning and crash avoidance space. Heavy vehicle road rules and penalties. Requirements for keeping your vehicle roadworthy. Dimensions of vehicles and allowable loads, ways to secure and distribute loads, types of loads such as dangerous goods and vehicle types include B-doubles and road trains. Safely driving a heavy vehicle down hills, the use of safety ramps, Rule 108 and rules associated with the South Eastern Freeway descent. From November 2017, South Australians with a Heavy Vehicle Driver’s Licence can digitise their licences with the mySA GOV app. The mySA GOV app enables South Australians to securely store selected government-issued pass and licence information on their Apple or Android smartphone or tablet. Digital passes and licences displayed in the mySA GOV app are a duplicate of existing physical licences and can be accepted as a valid and legal document.